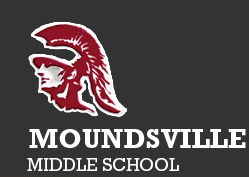 The Mission of Moundsville Middle School is to help our youth through their transient years so they may become active, productive, and successful adults in today's society. We strive to provide a proper environment for the social, emotional, physical and intellectual growth of all students through the combined efforts of our community, parents and educational personnel. The administration would like to remind you that there have been changes to the attendance policy for Marshall County Schools and to the way cars must pick up students after school at Moundsville. To view these changes, please click on the links below. Remember that if you haven’t linked your Kroger card to our school, you can do so online. Sign into KROGER.com. If you click on Community, and then Community Rewards you should be able to link our school to your account. Our school number for the rewards is 46018. It is that easy, and it won't cost you a penny. During the last quarter we received almost $300.